The following is just a sample of the pictures and articles in the 20 pages of issue #9. This concrete marker is intended to mark the site of the last indian battle in Tarrant County. It is at 1516 Rio Grande and 1500 Summit. Probably the only hotel in the world with it’s own cemetery on it’s grounds. 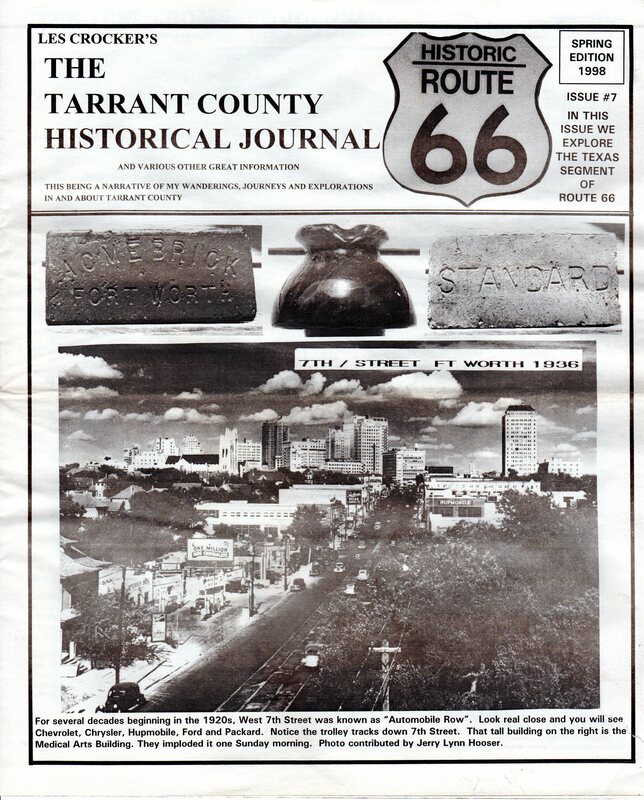 In 1970 a Mr. John Hickman of Ft. Worth and Judge Robert Hall of Dallas decided to build a hotel on the Sycamore Heights Bluff overlooking the then Fort Worth-Dallas Turnpike, but they had two problems. One, there appeared to be a small private cemetery right where they wanted to build the hotel. 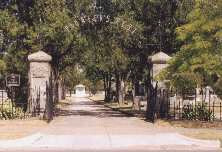 The cemetery is the Pioneer Ayres Graveyard. Buried there is Benjamin Ayres and his wife Emily. 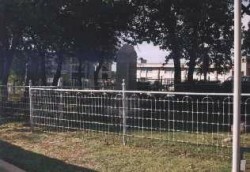 Four of his six sons are buried here, John, Joe, C.A., and Ben, Jr. Also buried on the hotel grounds are Isabella Sanderson, Ayres daughter and her husband, William Sanderson. Another daughter, Mary Ayres Cushman, (born Dec. 22, 1874, died Aug. 23, 1952) is also interned here. Over the years many others were buried in this two acre plot, some friends and some strangers, many of them children who died while traveling West by wagon. Mr. Hickman decided to leave the cemetery and build the hotel around it. It has become quite a tourist attraction over the years. Mr. Hickman promised to give the cemetery perpetual care. Now to the other problem. It was a stinky one. A pig farm located just to the west of the proposed hotel and south of the Turnpike. What to do? The Ft. Worth City Council tried to discourage it by declaring the pig business a nuisance and a zoning violation. But, the pig farmers stayed. farm we would roll up our windows to keep out the smell. It didn’t work. Finally, the owners of the pig farm, worn out by the constant hassle, sold out. A Federal Agricultural Building was built soon after on the site and the hotel soon after that. After Fort Worth was abandoned by the Army in 1853, merchants and traders took over the empty buildings. They called the new town “Fort Town “. 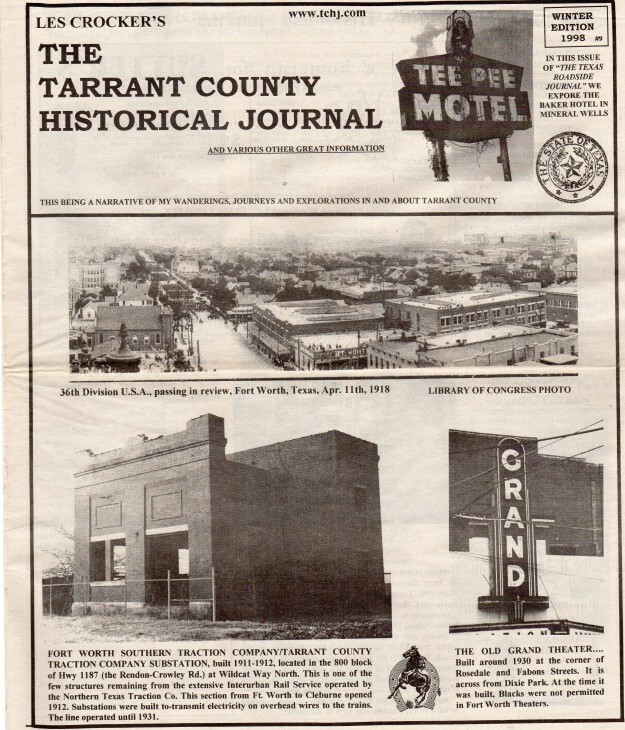 By 1856 Fort Town was again being known as “Fort Worth”. Aren’t you glad? “Yes, I am from Fort Town” doesn’t sound as cool as “Yep, I’m from “Foat Wuth”. 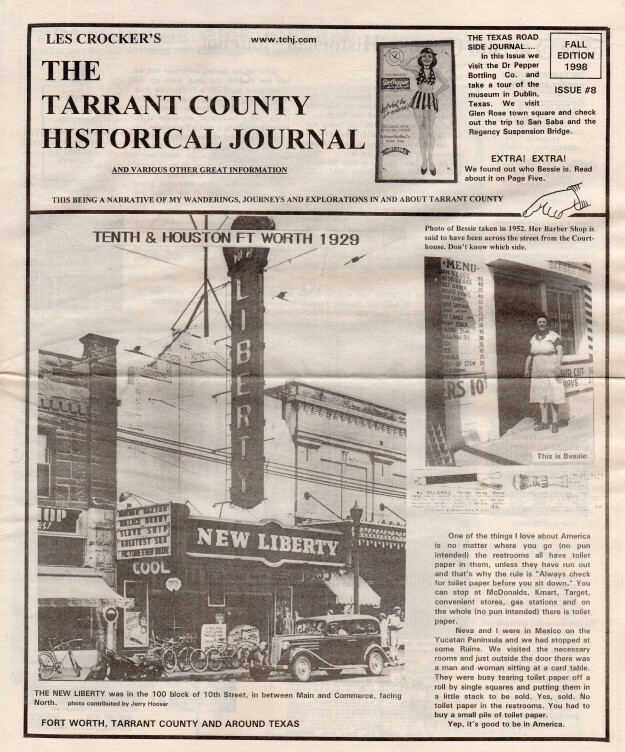 Benjamin Ayres came to Tarrant County in 1848 from Tennessee. He was probably pretty wealthy as he had sold his plantation to come here. Mr. Ayres claimed his land on Sycamore Creek. He owned 320 acres in what is now Meadowbrook. He was active in local politics and helped organize the First Christian Church in Fort Worth in 1851. The Christian Church he helped organize still stands today at 6th and Throckmorton St.
Ben Ayres served as Tarrant County’s second County Clerk from 1852 to 1856. He died in 1862. Ayres Street is named for him. 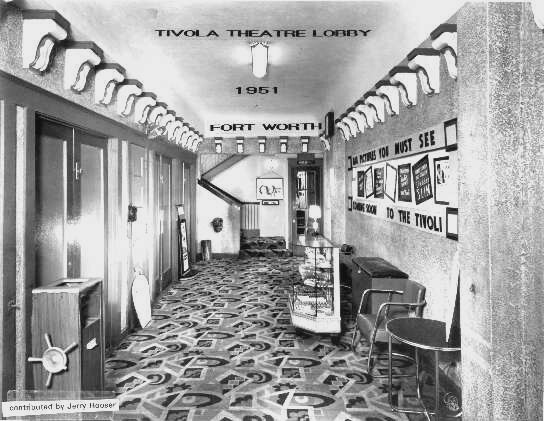 From the Editor Saturday morning, sometime in the 1950’s, the Tivoli Theater on Magnolia Ave. near the south side of Fort Worth. 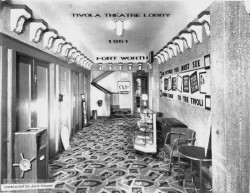 Mom would drive us (“us” being my brother and I) to the Tivoli Theater for an all day movie marathon. We would pay admission of 9 cents to get in. As we gave the ticket lady our dime and she gave us our ticket and 1 cent back, there was always one guy standing by the window wanting your penny change. When he got 9 cents in pennies, he got in free, and he did get your penny. Inside we bought popcorn and a drink for a nickel each. We saw two full movies, a newsreel, and about 4 or 5 cartoons and a serial. The one I remember best was “Superman and the Mole Men”. I wonder if you can still see that one anywhere? After all the movies were over and we left the theater, the drug store up the street gave each kid a fudgesicle free. After eating the fudgesicle, we went next door to the Rockyfeller. In the ’50’s if you ate a hamburger anywhere in Ft. Worth, most likely it was a Rockyfeller. We sat down at the counter, ordered a hamburger that cost around 15 or 20 cents, a pack of chips about 5 cents and a soda for 5 cents. After all that I would order a slice of Boston Creme Pie. If I remember right, they only baked and served that kind of pie during the winter months. I have looked, but I can’t find anyplace that makes the kind of Boston Creme Pie that I remember. As my brother and I stood on the curb waiting for Mom to pick us up, we were thinking about next Saturday, wondering if Superman would survive his encounter with Kryptonite. The 50’s were good. 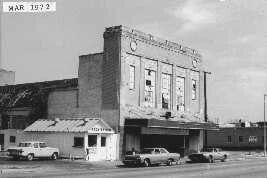 The Tivoli Theater was located in the 800 block of West Magnolia Ave. built and owned by I. B. Adelman, Theater Tycoon. It opened on Christmas night in 1929. The first film was “They Had To See Paris” starring Will Rogers and Fifi D’Orsay. Next door to the Tivoli was Rockyfeller Hamburger Stand #15, opened in 1939. Back in Issue #3 we ran the picture that you see on Page One of “Bessie”. This picture was taken in 1952. I found it at a flea market and didn’t know if it was taken in Fort Worth or not. Well, we have since found out this was Bessie Kelley, and she is standing in front of her Barber Shop. The following is just a sample of the pictures and articles in the 20 pages of issue #7. Nov. 25, 1876 – Three proprietors of Dance Houses were fined $10 a piece and forbidden to open again. The Democrat suggests that if they have to be operated, they should be restricted to unfrequented portions of the city where their orgies will not disturb the citizens. Nov. 29, 1876 – Another soiled dove crosses the river. Yesterday morning another of the Demi Monde, weary of the trials and tribulations of her life, took a dose of laudanum and morphine. The last suicide of such nature was about two weeks ago. Jan. 16, 1877 – Blood has been shed at the Dance Houses. Close them out. Feb. 5, 1877 – These dens of vice and immorality are open night after night contrary to the law and sworn officers wink at and permit them to go on, knowingly and willfully. April 27, 1879 – As a result of the order issued to the City Marshall by Mayor Beckham to enforce every ordinance on the books to the letter, 23 fast and fancy girls of the Arena were taken in tow. Aug. 5, 1879 – The frequent discharge of firearms after dark in the Eastern part of the city is the source of much complaint. 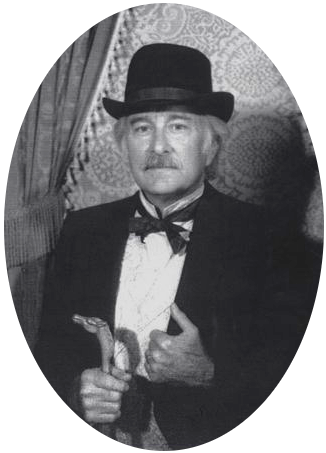 April 19, 1887 – The festive burglar has no soft snap when he invades a Fort Worth domicile at dead of night. The average Fort Worther keeps a gun and knows how to use it. May 17, 1887 – It’s a cold day when the Half Acre doesn’t pan out a cutting or shooting scrape among its male denizens or morphine experiment by some of its frisky females. Rufus Coates was the last man to be executed by hanging in Tarrant County. He was hung on November 8, 1918 for the murder of his sweetheart, Zella Faulk. From his cell window in the old jail he could see the tree near Oakwood Cemetery under which he stabbed Zella to death. The old jail was located at what now is Paddock Park. There was a tunnel from the jail to the Courthouse that went under Belknap Street. Even More “At The Movies”: Did You Ever Notice? If you need to reload your gun, you will always have more ammunition even if you haven’t been carrying any before now. You’re very likely to survive any battle in any war – unless you make the mistake of showing someone a picture of your sweetheart back home. The Chief of Police will always suspend his star detective – or give his 48 hours to finish the job. It is not necessary to say hello or good-bye when beginning or ending phone conversations.